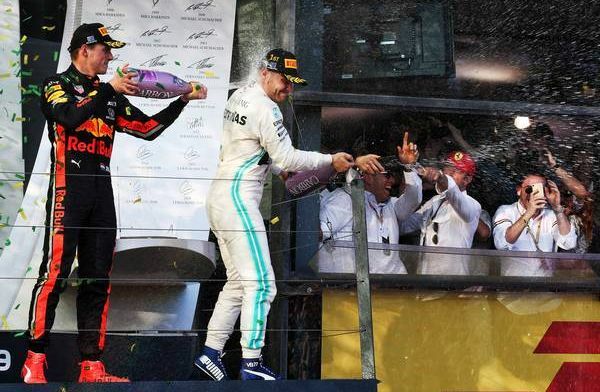 Former world champion Nico Rosberg believes Valtteri Bottas can keep charging towards a world championship title in 2019 following his dominant victory in Australia over the weekend. Bottas qualified for the race behind team-mate and pole-sitter Lewis Hamilton, but a fantastic start from the Finn allowed him to get ahead of the reigning world champion and dominate proceedings from then on. After a winless 2018 season for Bottas, many had written him off, and tipped Esteban Ocon, who is waiting in the wings, to take his position when the 2019 season has concluded. But Rosberg, who won the world championship with Mercedes, has backed his successor to go on and challenge his former team-mate Hamilton for the crown this campaign. "I do think Bottas can be world champion," the German said to Auto Bild. "Bottas is in combat mode this year. You cannot underestimate the mental side in Formula One. It's what we saw last year with Sebastian (Vettel)." Rosberg believes a perfect example of how Bottas can beat Hamilton this season is the overtake he performed on his fellow Mercedes driver right at the start in Melbourne. "Valtteri - as I always did - practiced all weekend with his clutch: once, twice, three times, hundreds of times. and Lewis, not once, or maybe five times maximum. The problem for Valtteri is that Lewis is always so strong in qualifying, but the chance is there that we will see a real duel. "I think if Valtteri can keep the positive mentality, he can become world champion, because then Lewis has his periods of weakness."